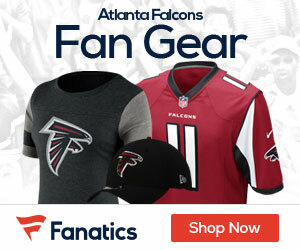 Falcons quarterback Matt Ryan has been named the NFC’s Offensive Player of the Week, the league announced on Wednesday. Ryan completed 22-of-38 pass attempts for 320 yards and four touchdowns in leading the Falcons back from a 23-7 deficit to defeat the Carolina Panthers, 31-23. On the season, Ryan has completed 60.1 percent of 479 pass attempts for 3,474 yards with 23 touchdowns and 12 interceptions. Despite the Falcons’ 8-5 record, Ryan is the first Falcons player to win Player of the Week honors this season.